Sorry, Gfx-Freaks. This time it’s about sound. I really love Battlefield 2 and besides of the gameplay and graphics i felt in love with the sound they embedded in the game. And one special case was a small eye opener for me. Why? Because they showed, that sound can be used to add a lot detail to your graphics in a very nice way. I’m talking about the flag poles. Please watch the movie and listen. At this point i want to share a Battlefield 2 Story with you. DON’T READ THIS if you’re just intersted in the tech stuff. This is personal and just for BF2 lovers. It was very late and there was only 1 guy with me at the server on “Gulf of Oman”. First we fought only with knifes but then we had the idea to do a car race. How? First we grabbed two cars and i drove in front of him to “mark” our track. Then we placed the cars at the airfield of the MEC team. We both were standing outside of our cars, i trough a grenade, we both entered the cars and started when the grenade explode. Since then i would love to have a meeting at an empty server. 4 cars. 2 guys in every car. Would be so awesome. By the way, i played the demo of BF2 for at least 4-5 years. When i had the money and the PC to play it on my own machine i bought it. But it was so laggy that i changed back to the demo. Gulf of Oman was the greatest map ever for me. 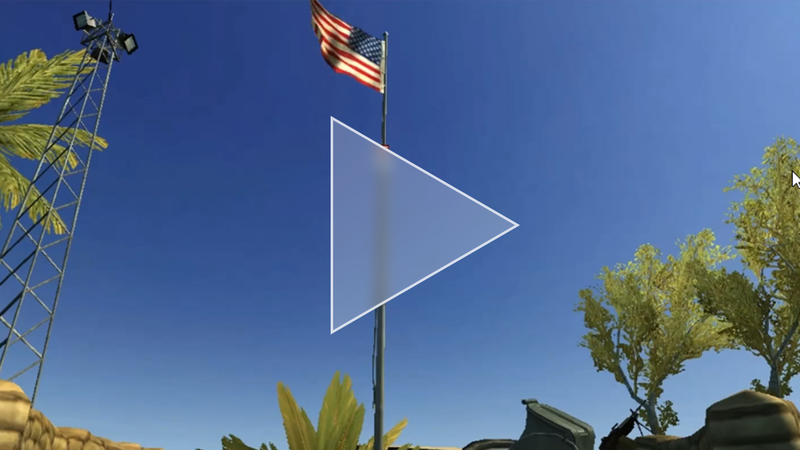 This entry was posted in Game Art Tricks and tagged Battlefield 2, Flag on 13. February 2013 by Simon. Maybe it was :D Did we do a knife-only fight just before? Do you play the demo or the full version? I’ve noticed that the servers are down but there is this nice mod-project who made BF2 playable again. I play only demo version, even I installed it a month ago to check what’s up there but unfortunately servers are offline :( So remain only Single Player missions. There is a BF2 project in net where u can download all BF2 – the said that DICE and EA abandoned this game and every one can play free. But this is too controversial for me.